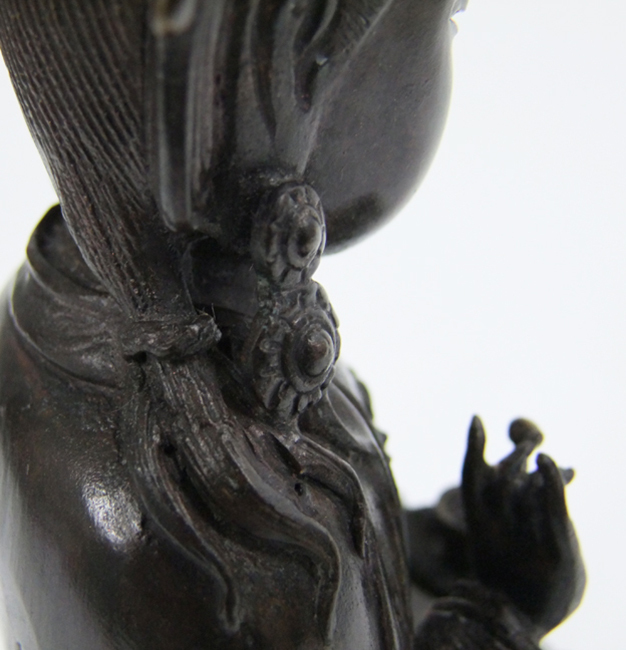 Before treating religious or ceremonial objects the conservator must thoroughly understand how the object was constructed and used. 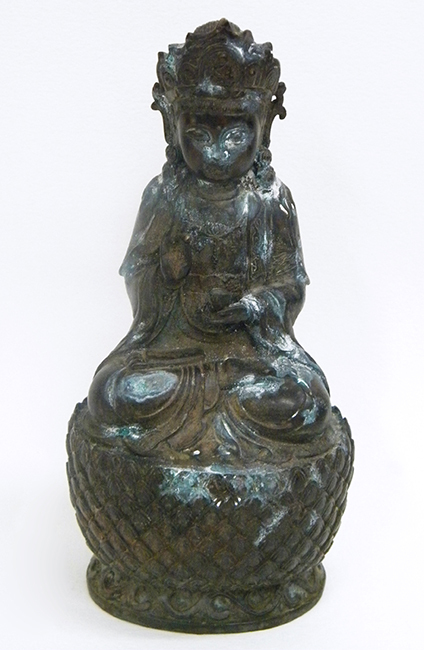 This sculpture was brought to the studio for restoration in preparation for an upcoming ceremony where it would be exhibited and then rededicated or blessed by the Lama Karma. 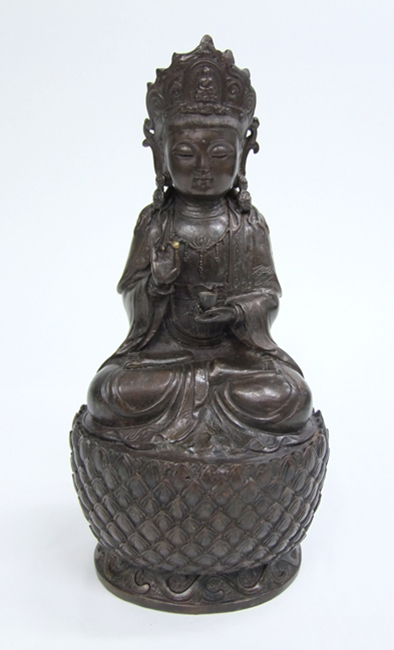 Often these devotional objects would have hundreds of prayers, written on paper scrolls, placed within a hollow chamber inside the statue. 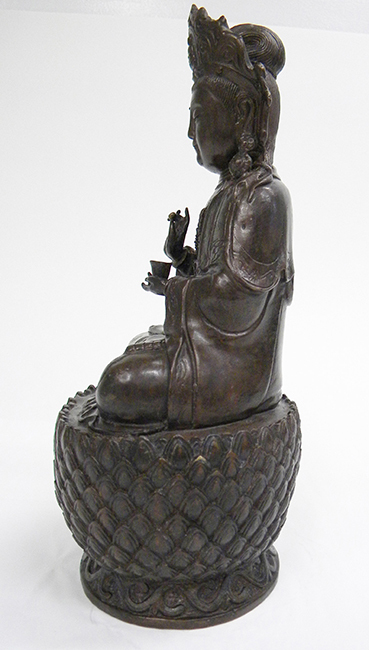 Before treatment commenced, approval was granted to carefully open the Buddha and remove the prayer scrolls. 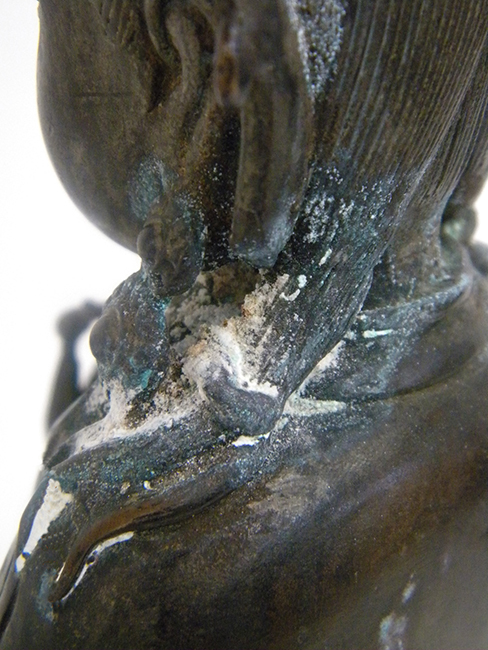 During the restoration process the scrolls were not treated, and were placed back inside the statue, unaltered. 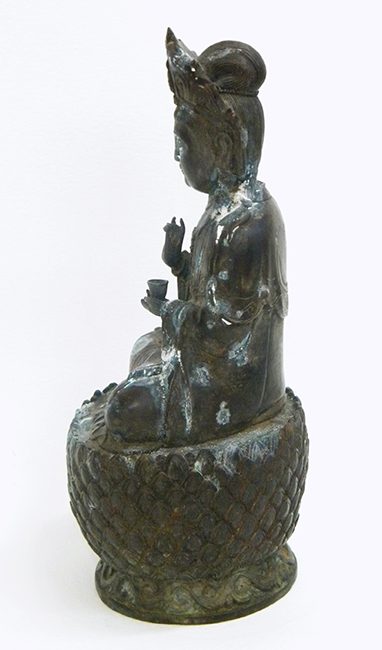 The treatment results were as mindful as they are strikingly beautiful!